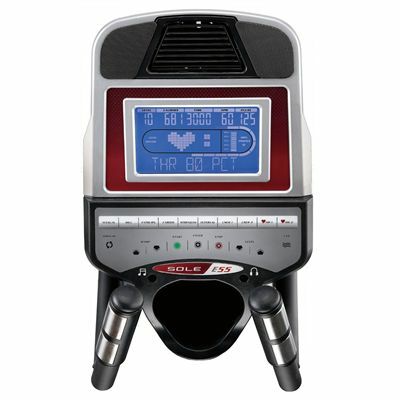 Through research performed with a leading sports scientist and physical rehabilitation expert, Sole engineering has developed a breakthrough in pedal design. A 2-degree inward angle was added to the footstraps to put the user’s joints back into a neutral alignment and thus ease the overstressing of the ankles, knees and hips. 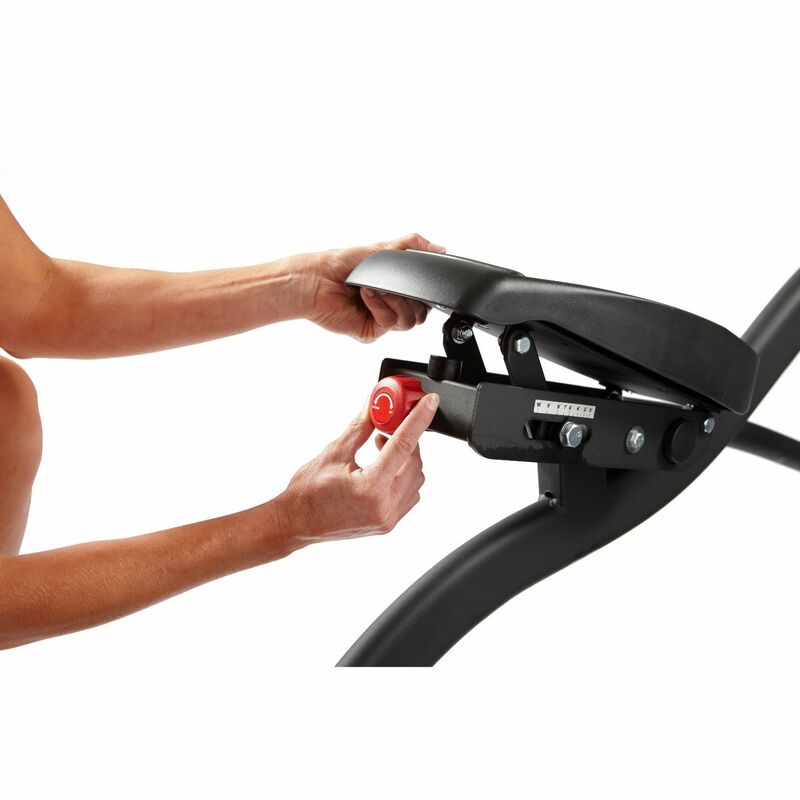 The pedals have been made adjustable to fit the way you walk. You can adjust the foot pads anywhere from 0-10 degrees to find one that feels best for you. This feature reduces the numb toe effect and sore Achilles tendons. No other elliptical, at any price offers these unique features. 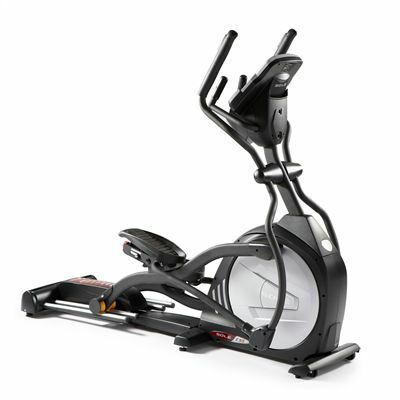 The elliptical has a ramp incline feature that increases the variety of your workouts. 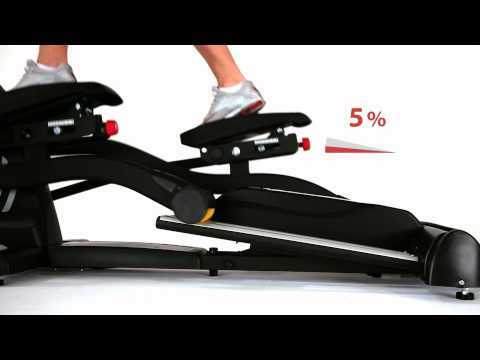 When the incline is at its lowest position you get a normal elliptical workout. As the incline increases you will feel your knees rise higher with each step, which means you are involving more muscle groups and fibers. The incline is computer controlled. 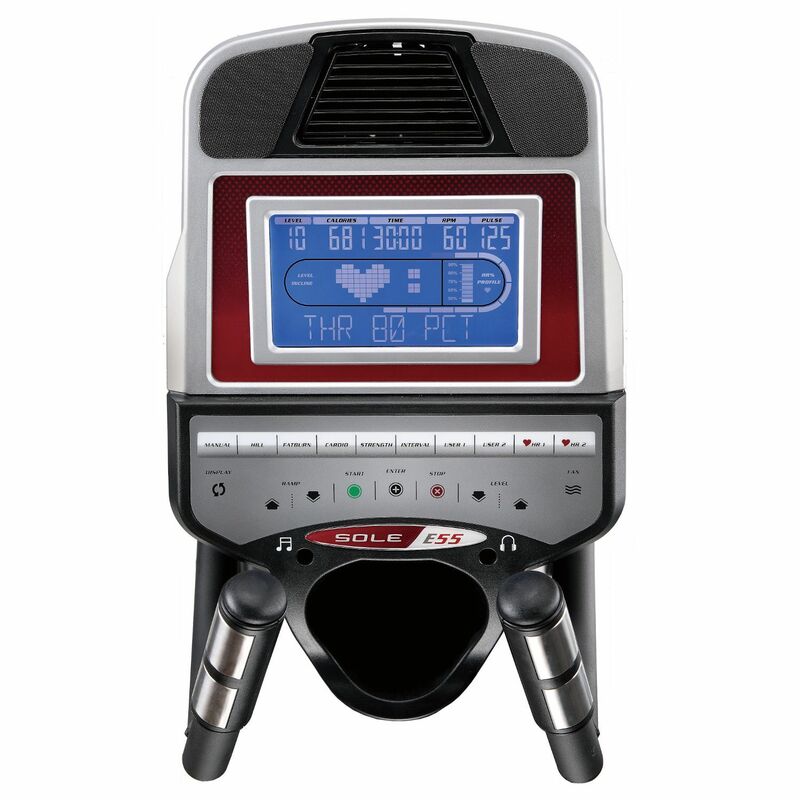 The vibrant 7.5” blue backlit LCD console provides 10 motivating workout programmes, including 1manual, 5 preset, 2 user defined, 2 heart rate control. Each of the programmes can be customized with your personal information and changed to suit your needs. 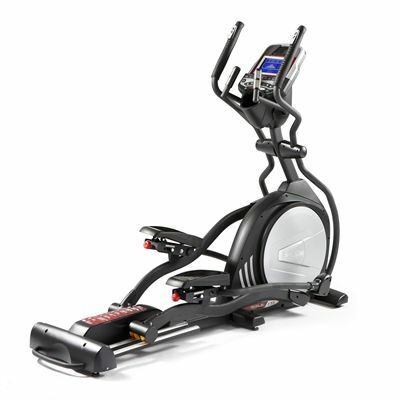 for submitting product review about Sole E55 Cross Trainer.